Do you want to spend time outside in the mountains of British Columbia? Golden is where you want to be! If you're anything like us you love to be outside. We'll take any chance we can to get out and explore. Golden, British Columbia is our home and our playground and we want to share our love of this little mountain town with you. Here's a taste of what you can look forward to while you're here and if questions come up as you’re planning your adventure – get in touch! SKIING AND SNOWBOARDING AT KICKING HORSE MOUNTAIN RESORT Wake up in the lodge with a view across the valley of KHMR. The resort is only a 20 minute drive from the lodge and it truly is home to world class riding. CROSS COUNTRY SKIING One of the most peaceful ways to get around in the snow. Definitely a favourite activity of ours. BACKCOUNTRY SKIING Golden is the gateway to numerous ski touring zones. Whether you're self propelled or have sled access, so many day trips are accessible from town. HIKING Whether you're looking to get up into the alpine, or cruise along the valley bottom, the options for hiking are endless. CANOEING Hike up into the alpine and paddle around beautiful Gorman Lake. There are lakes and rivers closer to town with options to rent, as well. 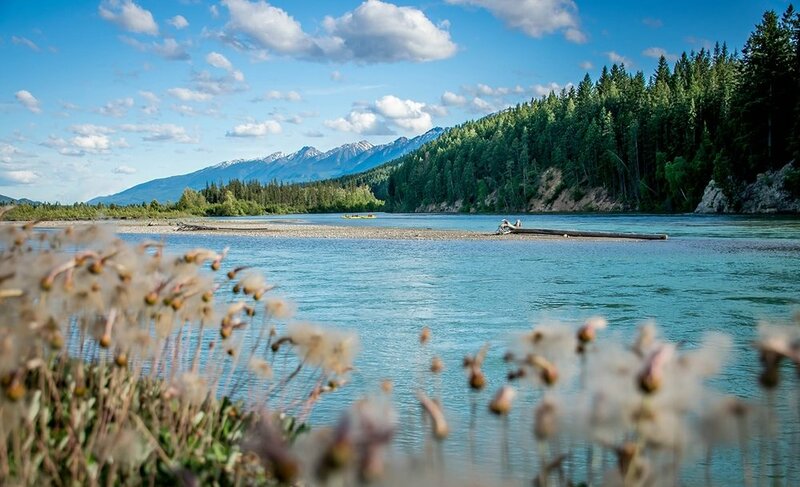 EXPLORE THE 6 NATIONAL PARKS THAT SURROUND GOLDEN Golden is lucky to be the gateway town to 6 of the most beautiful National Parks in Canada. 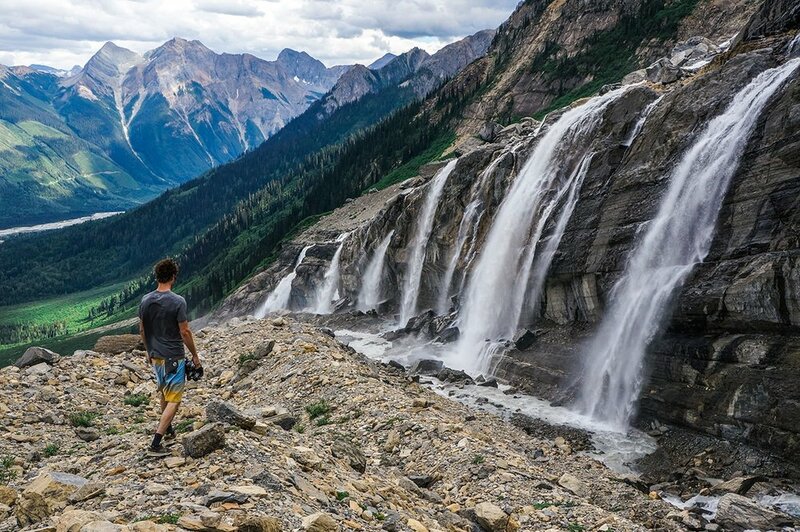 Explore Yoho, Glacier, Kootenay, Banff, Jasper and Revelstoke. With so much terrain it's easy to get off the beaten track. VIA FERRATA The newest attraction at Kicking Horse Mountain Resort, a series of connected climbing routes allows you to explore Terminator Peak. No climbing experience is required - you're always harnessed in and a guide will show you the way. SKYDIVING Jump from a plane and free fall from 10 000 feet over Golden, BC. The mountain views are as breathtaking as the jump itself! SNOWMOBILE TOURS AND RENTALS Whether you want to explore Golden's vast backcountry on your own, or with a guided tour, there are several awesome companies in town who can help set you up. GOLF The Golden Golf Club is often called a hidden gem. Surrounded by mountains with the Columbia River flowing by - it's not a bad place to spend a day! Photo: Golden Golf Club. PARAGLIDING Float over the Columbia Wetlands and the town of Golden. It truly is an amazing experience! 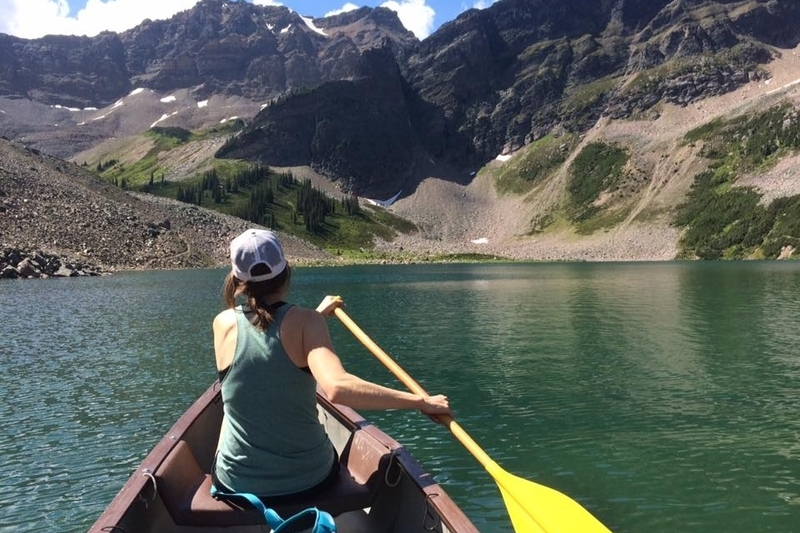 Our list of the best outdoor activities in Golden, B.C.